SkuVault is a user-friendly, web-based inventory & warehouse management system for eCommerce retailers, that helps you take control of your inventory. RetailOps is a retail operations management software with purchasing, warehouse management, order, product &amp; sales channel management. Web-based order management, purchasing management &amp; inventory management for Amazon, BigCommerce, Shopify, 3DCart, Shopsite e-commerce merchants & more. Warehouse software for eCommerce. Peoplevox is simple to use, web-based and scalable. Powerful Inventory Management. Accurately manage your inventory online in real-time with Unleashed. The Multi-channel eCommerce software that helps your business work smarter, not harder. Simplify inventory & order operations for your growing business. HubLogix is the eCommerce back-end automation company that drives profits through efficiency in the worldwide supply chain. Veeqo, An all-in-one solution to sync your inventory across all your sales channels in real time and manage your orders by automatically printing your couriers shipping labels. Skubana for all your multi-channel orders, shipping, inventory, vendors, customers and analytics in one platform. With Scout, you can manage your inventory from anywhere at any time. What an informative post would like to see more from a post from you. Yes, Inventory Management system is really very important for any eRetail business for the purpose of records and stock management across sales channels. I have used different order & inventory management suite, but out of which I would like to suggest the name of Vinculum’s multi-channel inventory management system. This software suite is user-friendly and best for e-commerce business. Now, all your stock updates, adjustments, and transfers can be managed for multiple sales channels via a single interface. Have a look at https://www.vinculumgroup.com/products/vin-sim/. Have a look at ‘Challan & Invoice Printing System’ software with advanced features for managing Purchase, Sales, Receipts, Payments, Tax Forms, Inventory, and Statistical Reports. I am really surprised how easy it is to use for my inventory management. It improved my business efficient , you can also try Erplain for free. Take a look at Windward Software – it helps manage your business from POS to back office, payroll and reporting. I own a small garment, so I need some inventory tool for managing all products. Initially, I did with manually but it’s prolonged processes. I searched many inventory tools for reducing this manual process. Then my budget, expectations fully satisfied in Apptivo. This inventory tool has many features, through this I can do all inventory process easily and also keep track of item availability, purchase orders, suppliers records, billing. It reduced my paperwork and improving management process. I’d like to add a company who has been doing inventory management for ecommerce for years. With end to end inventory management along with multi-channel integrations Kyozou helps online seller who sell on marketplaces like ebay and Amazon grow. I really appreciate your hard work in listing out all these amazing software. 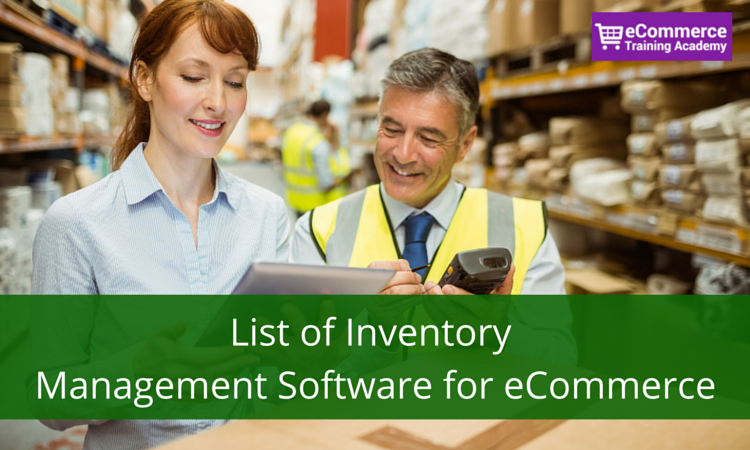 One quick favour, can you add one more inventory management software to the list? (http://emergeapp.net). Inventory management is the bain of most large scale eCommerce businesses. We have used many of the systems you have mentioned and most of them leave a lot to be desired … And let’s not mention trying to integrate with SAP, lol. We manage a store with a POS system called eZee Burrp! and the POS comes with an inventory module, however, we are creating an e-commerce webpage and we are worried that there will be no connection between our POS inventory system that manages our invenotry and online sales. Perhaps an interphase with another system? Can anyone reccomend what software to use? I thought eZee Burrp! was a restaurant POS solution. Anyways, there are Warehouse Management Solutions that can manage several locations/warehouses. One of the solutions with such capabilities I came across is pixi* WMS (https://www.pixi.eu/en) . As you correctly mentioned, the two systems could be integrated using an API connection.